A UK Cloud Server is essentially the evolved form of a VPS, in respect that they both do basically the same thing. 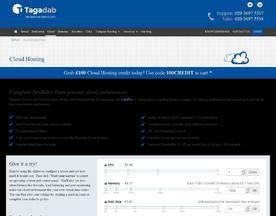 The differences between UK Cloud Servers and VPS are usually found in the hardware that these services run on, and the price. UK Cloud Servers run on a ‘cluster’ of servers and are therefore better at dealing with bursts in traffic, whereas a VPS is often on one static machine or server and does not handle bursts as effectively as a UK Cloud Server can. This unique attribute is reflected in the price difference. 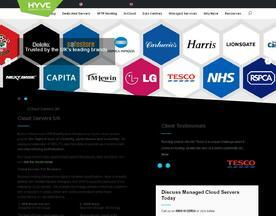 If you’re looking for similar online services like UK Cloud Servers, consider our VPS or Dedicated Server categories. Hyve virtual cloud servers outperform the performance of traditional dedicated servers, with added flexibility and a no single point of failure. Our cloud servers allow users to upgrade when they need to, which is especially useful for traffic increases for growing businesses and keeping costs low.